Cassina's appointment of Patricia Urquiola as Art Director has breathed new life into this stalwart Italian design house. As Cassina prepares to celebrate its 90th anniversary in 2017, Urquiola is boosting the brand's reputation as a cutting-edge company with a formidable design heritage. At April's Milan Furniture Fair, Cassina’s Milan showroom at Via Durini 16 and its stand in the Salone del Mobile were art directed by Urquiola to showcase new pieces for 2016, including sofas, chairs, tables and accessories. 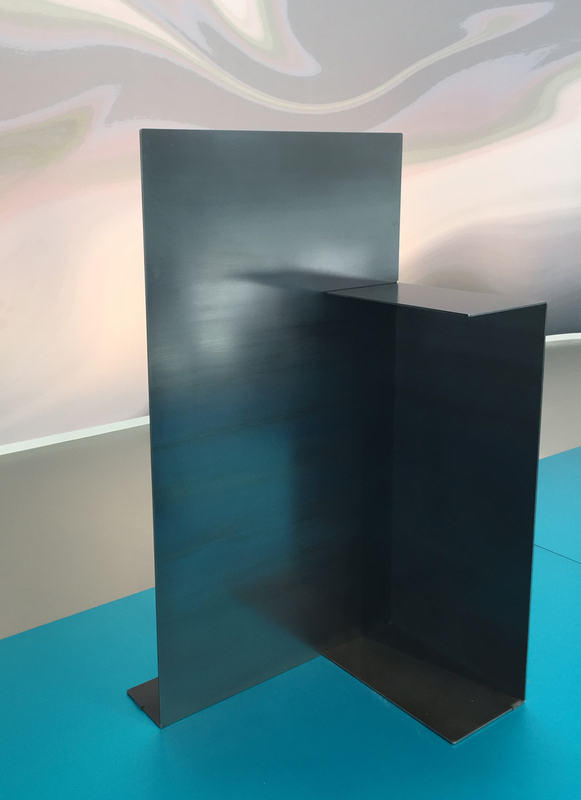 Inspired by Dutch De Stijl architect and designer Gerrit Rietveld’s 1955 Rietveld Pavilion, the 2016 collection was displayed like artwork in a contemporary art gallery. German designer Konstantin Grcic took this theme to the nth degree with ‘Props’, a range of sculptural metallic surfaces that can be used as architectural sideboards and side tables. Made of 5mm-thin metal sheeting, each piece is laser cut and folded to create minimal furniture with an industrial edge. Gerrit Rietveld’s iconic ‘Utrecht’ armchair, originally designed in 1935, is one of Rietveld’s few upholstered chairs that actually went into production. Now relaunched as a limited edition in ’BoxBlocks’ fabric, a graphic geometric fabric by Dutch designer Bertjan Pot, it’s one of Cassina’s most colourful and eye-catching pieces. 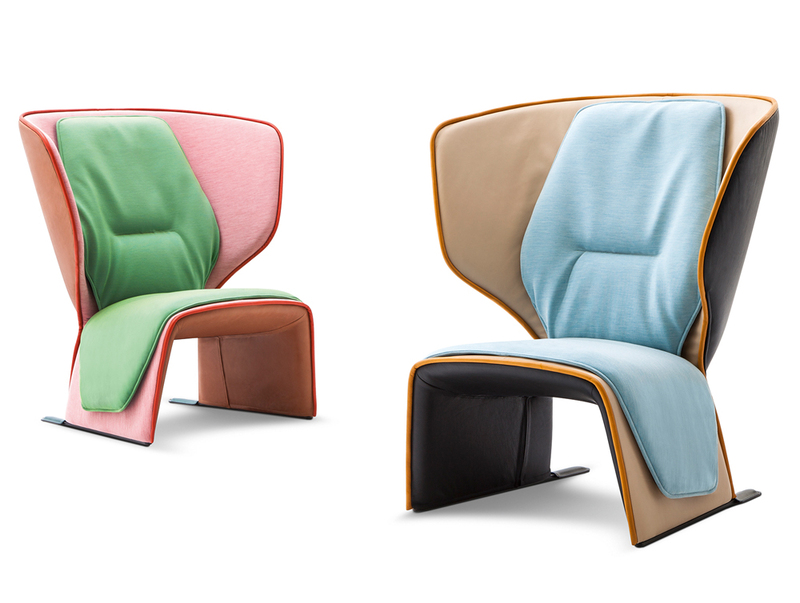 Not to be outdone, Urquiola’s own ‘Gender’ armchair mixes playful colours with gentle curves to create a cocoon of soft seating with soundproofing wings. Available in five poppy colourways, the leather-clad ’Gender’ also features a tilting back, and an additional upholstered footrest. The art theme was also picked up by Ron Gilad, whose ‘Deadline’ mirror collection resembles modern artworks of the 20th century. ‘Daydream’ references Rene Magritte’s cloudscapes, ‘200 Lines of Realism’ evokes the minimal linear works of Agnes Martin, while ‘Memory of a Lost Oval’ has more than a touch of Ellsworth Kelly about it. Finally, the most poignant piece on show was the cuboid ‘ZH One’ chair by the late Zaha Hadid, shown as a prototype. Hadid’s signature curves are evident in the fluid legs and cutaways in the upholstery, displayed in deep cobalt blue. When this chair goes into production it’s bound to become highly coveted as a lasting reminder of Hadid’s ability to bring her unique architectural style to small-scale furniture and accessories.